Claude King Media Productions Homepage. Our commercial recording studio in Johannesburg, South Africa. Claude King Media Productions is a South African media company based in Johannesburg, specializing in the provision of creative and artistic media and communication services, such as video production for all kinds of purposes, whether for companies or private individuals, event photography, graphics design, creative writing and editing services, recording and transcription services, composing of original music & soundtracks for film, creation and production of musicals. Some of our compositions and recordings have been played in Europe & USA, while all the musicals we’ve created were toured in Europe on an annual basis, from 1999—2009. This site is intended to be a source of information for potential clients and partners who are in search of the kind of services we offer. The Driving Force: Information about Claude King, the CEO, owner and backbone of CKM. Services Offered: Detailed description of the services that we offer. Projects we’ve done: Some important projects we have been involved with, including links where possible, to extra data regarding the respective project/s, plus info on current projects. Price-list: Pricing structure, method of payment, legal stuff, hours of operation & banking details. FAQ: Answers to some important questions prospective clients may have about their prospective project. About the Music Business: A link to a page which gives an insight to how the business works, and what the aspirant singer can do to get into the business. Sound-bites: Provides links to MP3 music samples (approx. 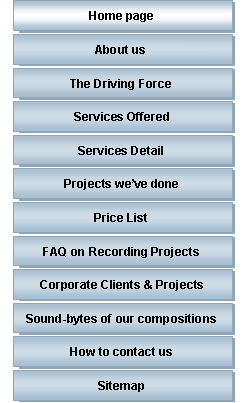 1-min duration) of some of our music products. How to Contact us: Contains detailed directions as to how to get to us. Technology and our lives: A lighthearted (but also serious) story about this subject. The Power of Africa is an African musical created by Claude King. Toured in Europe during 2008 & 2009, to sold-out performances & standing ovations. This musical is now available on DVD. Contact us to order.